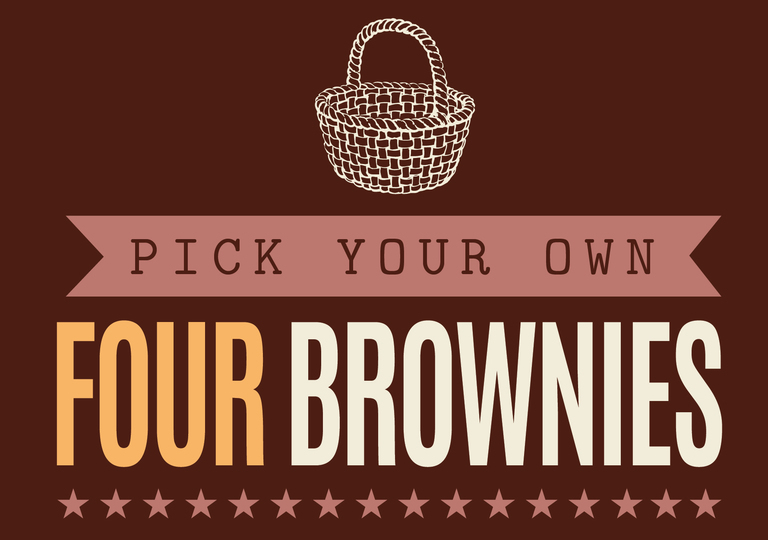 Our brownies and bars are authentically American as is Lisa, The Yummy Yank, herself. They start from classic American recipes, then Lisa adds her own unique twist, bringing tradition and deliciousness into every single one. Quality and flavour are of the utmost importance to us and never do we compromise on either. Enjoy every bite. We are confident you will be coming back for more. All brownies freeze, wrapped in foil, for 3 months and can be kept in the refrigerator for up to 3 weeks, well wrapped and out of the fridge, well wrapped, for up to 2 weeks. N.B. Our products are made in a kitchen where there are traces of peanuts, nuts and sesame. 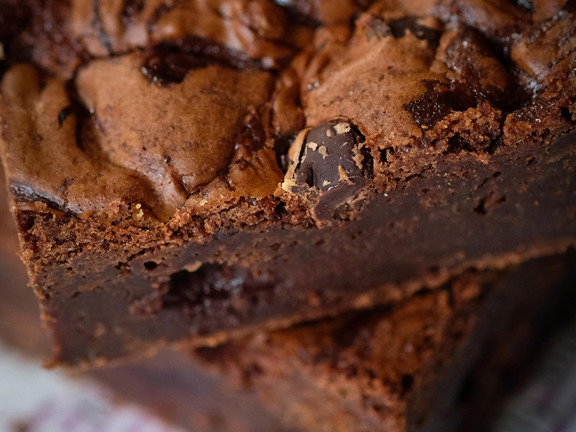 This isn't JUST a chocolate brownie - this WILL send you to chocolate heaven! 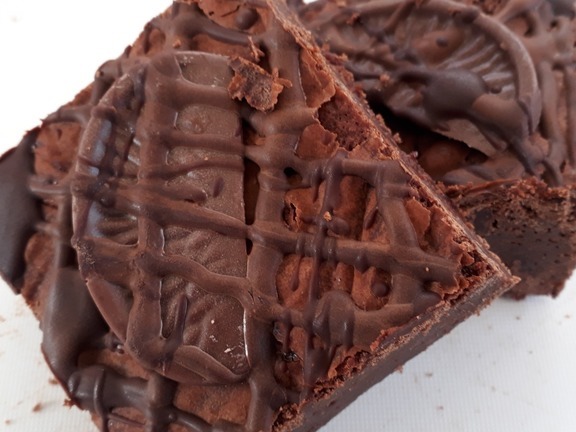 Our classic brownie contains over a kilo of dark Belgian chocolate in every tray of 20 indulgent bars. Peanut butter meets chocolate heaven! 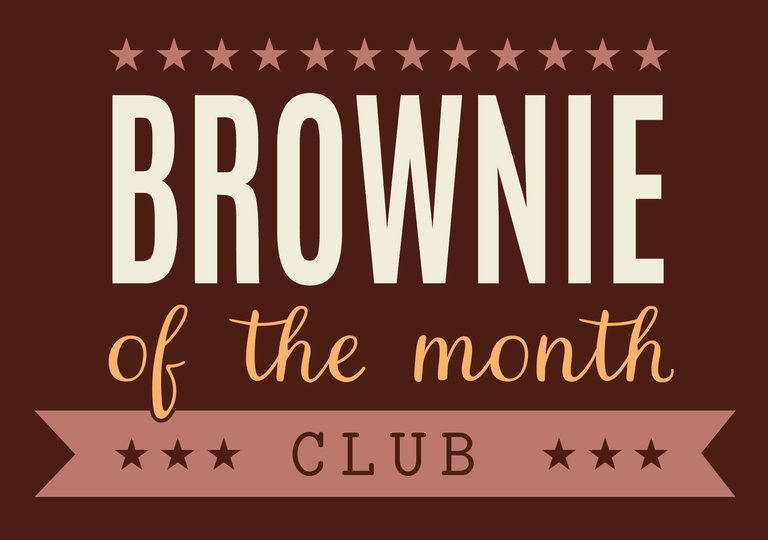 Our classic brownie with smooth American peanut butter throughout is a Great Taste Award winner! Over a kilo of dark Belgian chocolate goes into every tray of 20 indulgent bars. Contains peanuts. Raspberry and chocolate - a match made in heaven! Our classic brownie swirled with seedless raspberry jam. Over a kilo of dark Belgian chocolate goes into every tray of 20 indulgent bars. Heaven just got gooier! 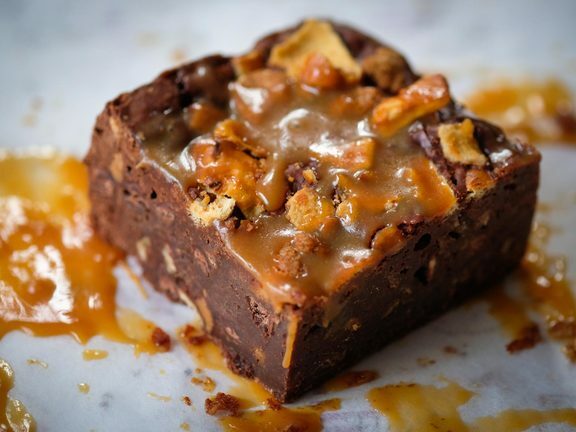 Our classic brownie with handmade sea salted caramel swirled in and on top. Over a kilo of dark Belgian chocolate goes into every tray of 20 indulgent bars. What a heavenly combination! 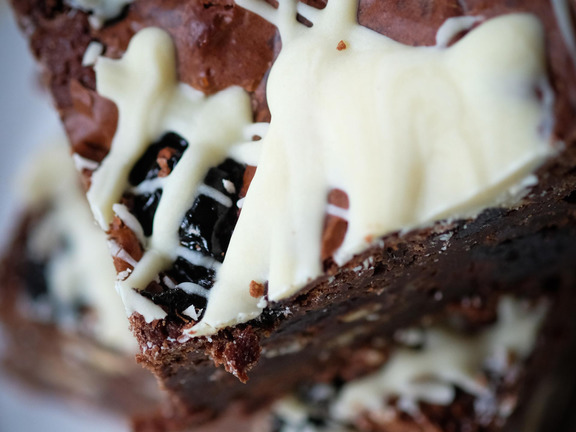 Our classic brownie loaded with American cherries and white chocolate chips. Over a kilo of dark Belgian chocolate goes into every tray of 20 indulgent bars. You'll be in hog heaven! 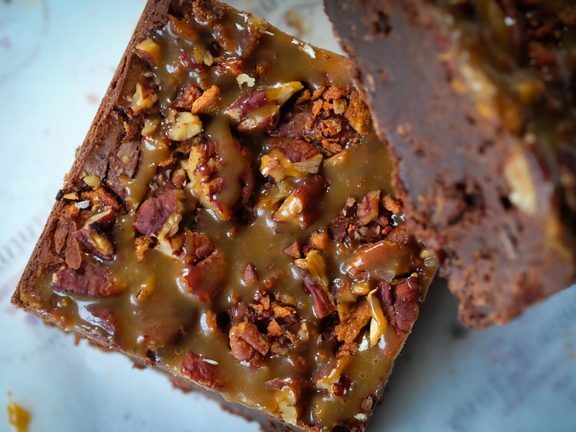 Our classic brownie laced with sea salted caramel, soya bacon bits and whiskey. Topped with more of the same plus pecans! Over a kilo of dark Belgian chocolate goes into every tray of 20 indulgent bars. Contains pecan nuts. Heaven help us! 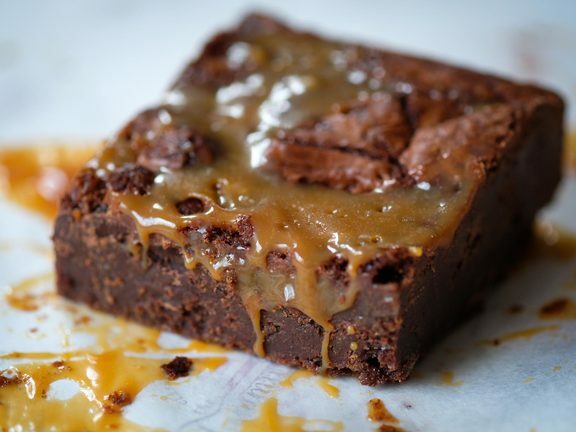 Peanut butter pretzels and smooth, handmade caramel swirled into and topping our classic brownie. Over a kilo of dark Belgian chocolate goes into every tray of 20 indulgent bars. Contains peanuts. Thank heaven for little girls and boys (and big ones too)! 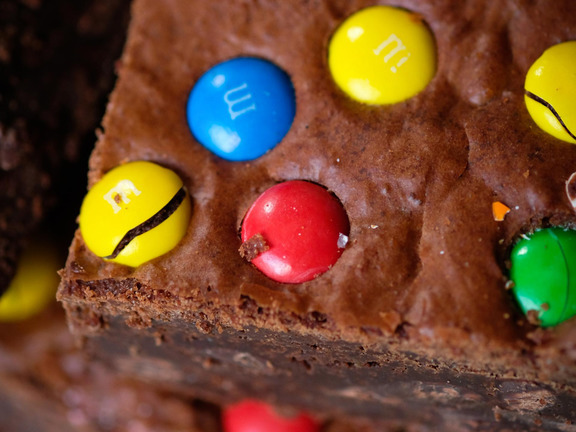 It's a classic brownie with M&Ms - simple, and as good as that. Over a kilo of dark Belgian chocolate goes into every tray of 20 indulgent bars. A little piece of heaven! 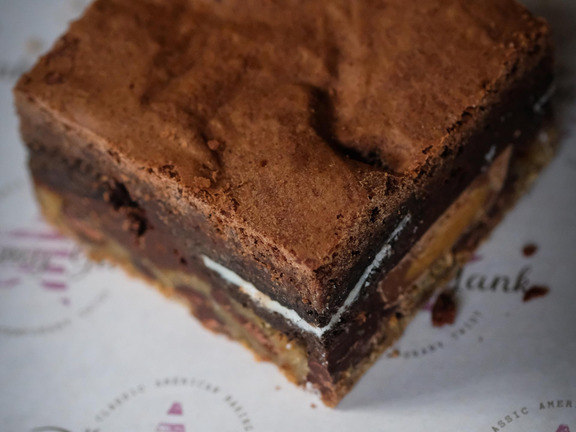 Our classic brownie loaded and topped with pieces of a popular American cream-filled sandwich cookie! Over a kilo of dark Belgian chocolate goes into every tray of 20 indulgent bars. Our idea of heaven! 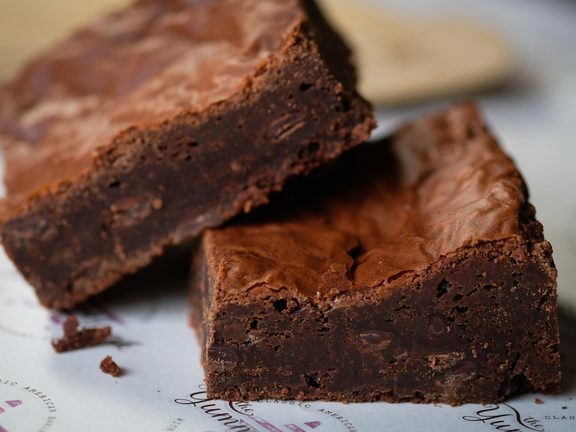 Handmade marzipan chunks add delicious almond flavour to our classic brownie. Over a kilo of dark Belgian chocolate goes into every tray of 20 indulgent bars. 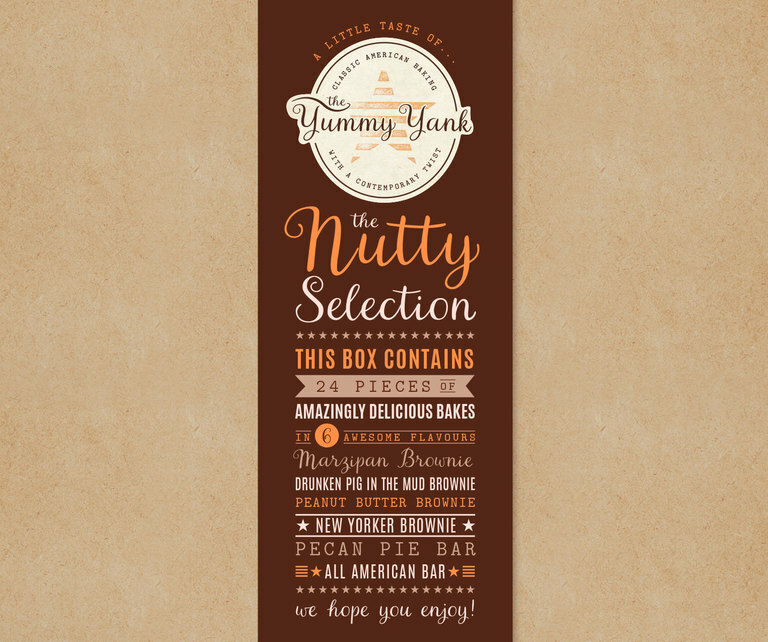 Contains nuts - almonds. This is as American as it gets! 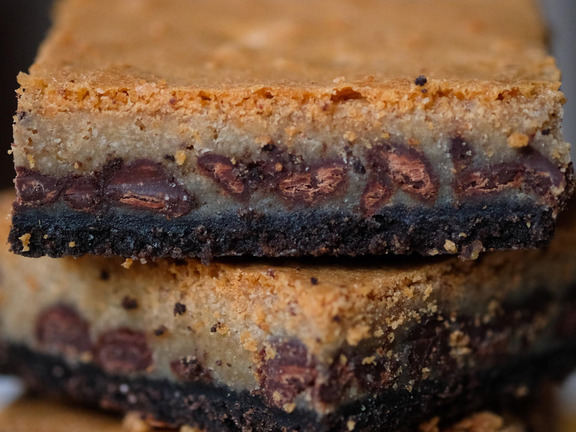 From the bottom up: chocolate chip cookie dough, peanut butter cups, Oreo cookie and brownie top. 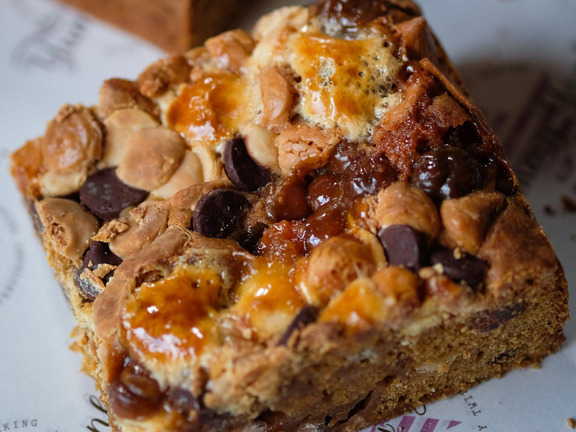 All baked together in one amazing bar. Contains peanuts. This will satisfy your sweet tooth nicely! Butterscotch, caramel, white chocolate chips, dark chocolate chips and marshmallows inside and on top of a butterscotch base. Is it a cookie or a brownie? Half-baked chocolate chip cookie dough tops a chocolate cookie crumb base. Delicious as it is - or slightly warmed and topped with ice cream! 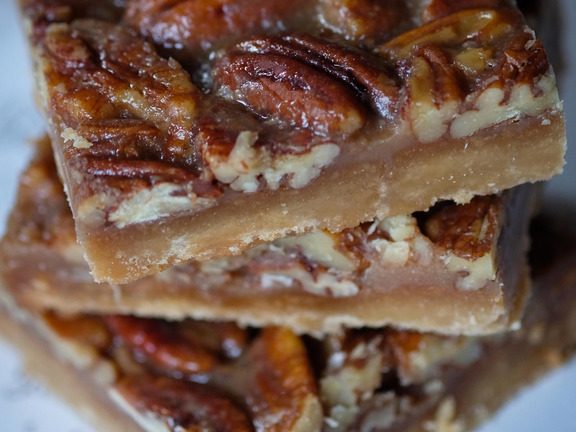 Y'all have to try this classic bar from the Deep South of the US of A! We turned this pie into a wonderfully moreish bar that starts with a shortcrust base and is topped with honey, pecans and all things delicious. Contains pecan nuts. 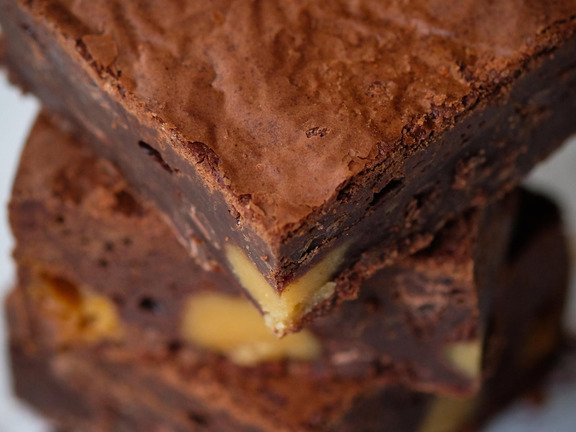 Since adding this delicious brownie to our range, it's quickly become a firm favourite. It's filled with orange jam and pure orange extract to give it an undeniably delicious chocolate orange taste. And it's topped off with a classic chocolate orange segment. This one's not just for Christmas! Build your own box of 6! Choose from any of our range of amazing bars for your own selection or all six the same - it's your choice! Includes packing and first class signed for delivery. Build your own box of 4! Choose from any of our range of amazing bars for your own selection or all four the same - it's your choice! Includes packing and first class signed for delivery. 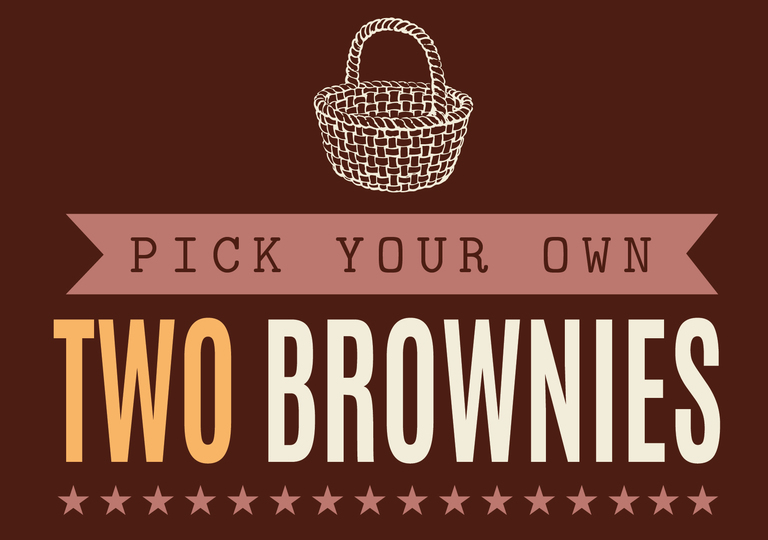 Build your own box of 2! Choose from any of our range of amazing bars for your own selection or both the same - it's your choice! Includes packing and first class signed for delivery. This is a not to be missed monthly delivery. 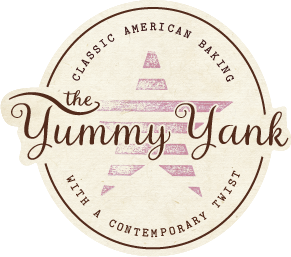 Every month you will get two brownies of The Yummy Yank’s choosing. A different flavour every month. Sign up for a 3 month, 6 month, 9 month or 1 year subscription. 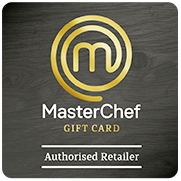 It’s the perfect treat for you or a wonderful gift for that someone special. A gift note of course can be included. There will be a mixture of brownies/bars/traybakes with and without nuts, so this is not for someone who doesn’t like or has a nut allergy. 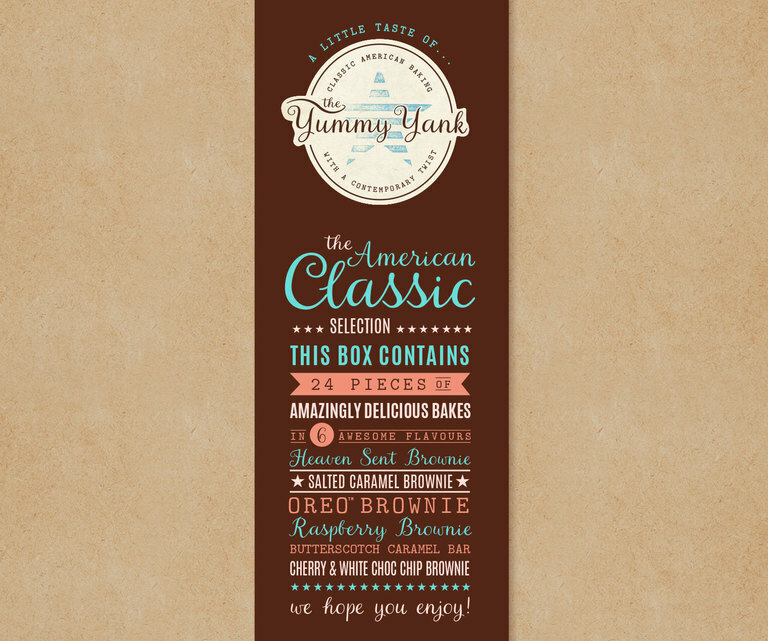 The Yummy Yank brownies/bars are pretty special, so this gives you a chance to taste every single one. Go ahead and indulge! You or your loved ones will be so glad you did. Price includes packing and first class signed for delivery. 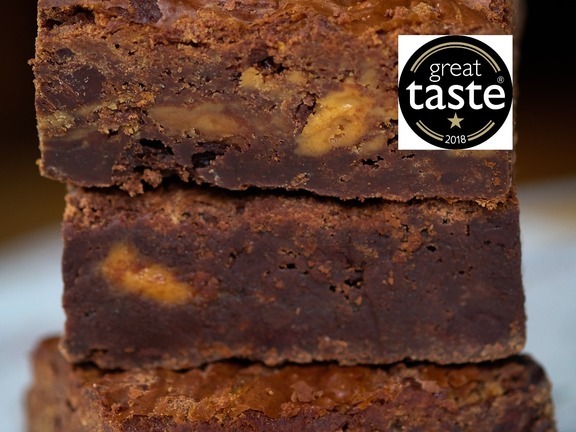 24 bites of delicious brownies and bars in 6 awesome flavours: Drunken Pig in the Mud Brownie, Peanut Butter Brownie, Marzipan Brownie, New Yorker Brownie, Pecan Pie Bar and All American Bar. Includes packing and first class signed for delivery. Contains nuts. 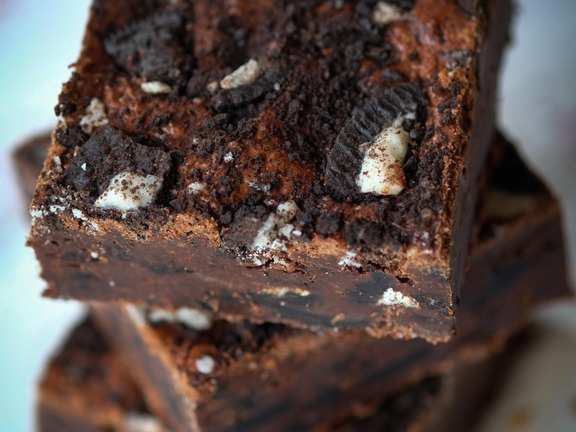 24 bites of delicious brownies and bars in 6 awesome flavours: Heaven Sent Brownie, Sea Salted Caramel Brownie, Oreo Brownie, Raspberry Brownie, Cherry & White Chocolate Brownie and Butterscotch Caramel Bar. Includes packing and first class signed for delivery. Does not contain nuts but made in a kitchen where there may be traces of peanuts, nuts or sesame. 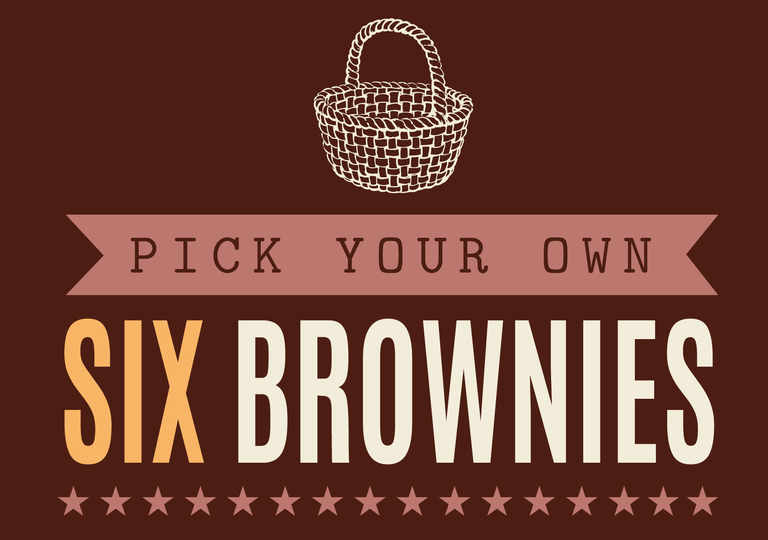 24 pieces of brownie bites in 6 awesome flavours: Heaven Sent Brownie, Sea Salted Caramel Brownie, Oreo Brownie, Drunken Pig in the Mud Brownie, Peanut Butter Brownie and New Yorker Brownie. Includes packing and first class signed for delivery. Contains nuts.